The studio of Mr. Tomaszewicz produces four types of renaissance and early baroque flutes with different sound characteristics. This is the most common Renaissance flute on old iconography. It has a delicate structure, it is made of one piece of wood. Sweet, delicate sound, very fast articulation. It is perfect for playing in small bands accompanied by singers and lute. It’s a flute with a wider channel and thicker walls than Bassano. Strong sound throughout the scale, perfect intonation. This flute is dedicated to musicians for playing songs and dances. Its two-part construction is very convenient for transporting and for correcting intonation. The bass flute in this series is extremely comfortable and easy to play. 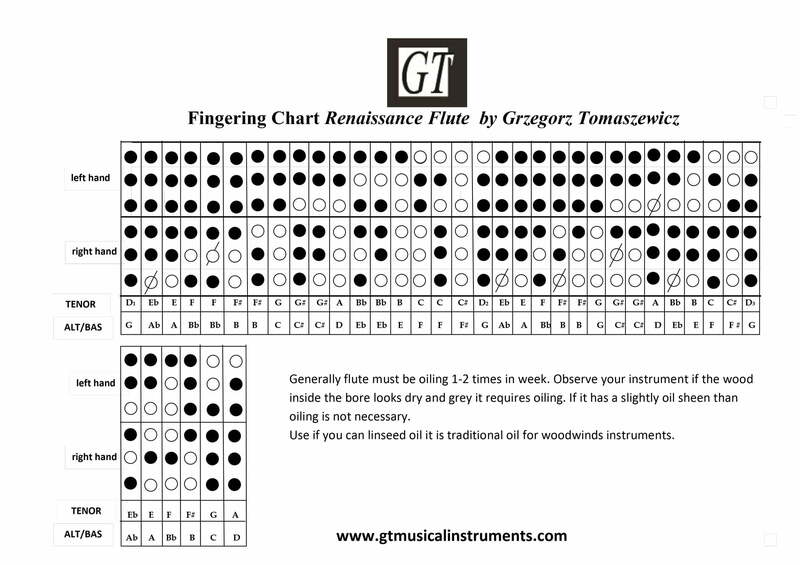 The most common problem in bass flutes from the renaissance period is the extreme distance between the holes in the fingers, in this model the problem is minimal. One of the most beautiful flutes preserved to our times. It combines the character of Bassano and Verona flutes. A loud, sweet sound, perfect intonation, easy to play even for modern flutists. This simple flute has a powerful sound, sometimes comparable to contemporary folk flutes or to the so-called Swiss Renaissance flutes. The dominant, very loud first octave. This flute is perfect for bands playing dance music with many musicians. It combines well with cornetto, shawms and percussion instruments. It is also often used for playing medieval music.